Boasts 25 Highway MPG and 18 City MPG! 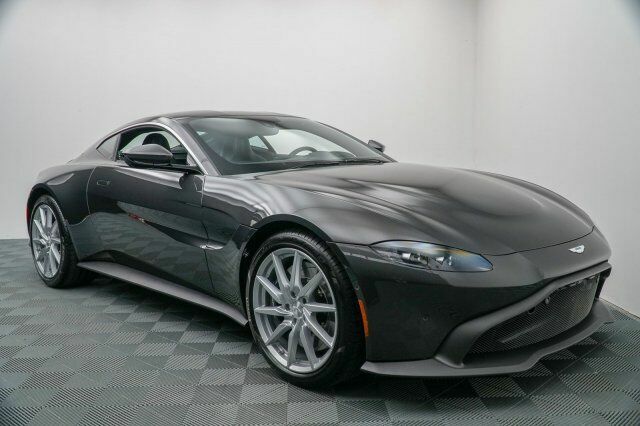 This Aston Martin Vantage delivers a Twin Turbo Premium Unleaded V-8 4.0 L/243 engine powering this Automatic transmission. Window Grid Antenna, Wheels: 20" Y Spoke Silver, Valet Function. Trip Computer, Transmission: ZF 8-Speed Automatic -inc: Rear mid-mounted, Transmission w/Driver Selectable Mode and Sequential Shift Control w/Steering Wheel Controls, Tires: 255/40R20 Fr & 295/35R20 Pirelli P ZERO, Tire Specific Low Tire Pressure Warning, Tailgate/Rear Door Lock Included w/Power Door Locks, Systems Monitor, Silver Grille, Side Impact Beams, Rocker Panel Extensions. Treat yourself- stop by Foreign Cars Italia Charlotte located at 416 Tyvola Rd, Charlotte, NC 28217 to make this car yours today!